… out beyond Gates Pass, between the saguaros and cracked washes of a desert city’s dusty skirts, stood a castle where a centaur slept for eternity, encased in glass. That time is now, that city is Tucson, and that centaur isn’t snoozing—not exactly. Rather, it’s skinless and stilled by the forever sleep of the castle’s dead populace—the more than 400 species of taxidermied animals prepped, pinned, and posed for the International Wildlife Museum’s catalogue. The specimens here are part of a collection begun by hunters and carried on by conservationists—some are accounted for only by the presence of their severed heads. The museum is now a nonprofit “dedicated to increasing knowledge and appreciation of the diverse wildlife of the world.” Within walls built to resemble Chad’s Foreign Legion, the museum presents (mostly) scientifically accurate dioramas and accompanying texts on animal species from every continent. The Wildlife Museum is an especially silent one, a result of both its remoteness and the objects it contains. The building’s double doors are made of heavy patterned bronze, and my first steps across the threshold are loud (Full disclosure: I’m an essayist and artist, currently studying fairytales, on a date with another writer at a place commonly known as “the dead animal museum”). Inside the turreted walls, huge flocks of butterflies lay stunned, mid-flap, against white cotton backing. A lion lunges forever from a high recess in the first long hall. Crocodiles glare as we pass, unblinking. The weird space of the museum is not unlike that of a fairytale castle—the creatures here are at once fantastic and terrifying, igniting within me primordial reactions to beasts that suggest serious harm, yet are rendered harmless. Like in fairytales, the museum is lined with windows into sequestered partial realities, beyond glass that reflects (literally) shadows of the real world, yet at some point are no longer concerned with playing by real world rules. The glass panes act as dividers between the in and out of doors, recalling the angular frame of the salon wall and the window of human dwellings. 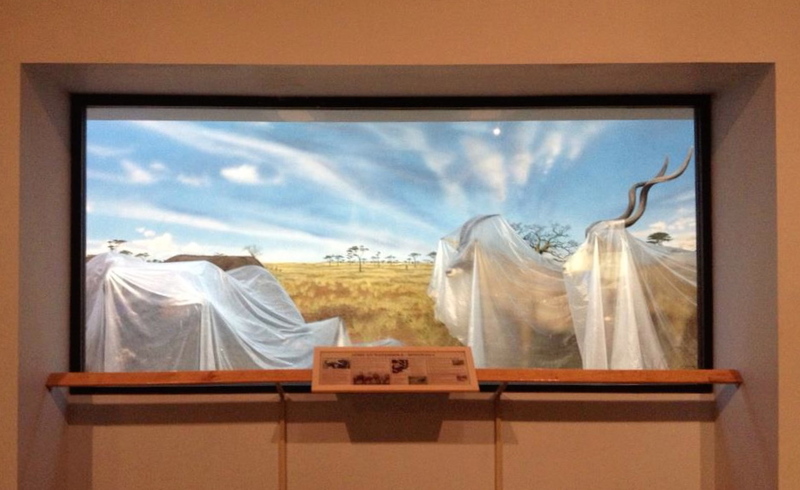 At the Wildlife Museum, this sense of partial reality is heightened when we come upon a diorama under construction. Inside, taxidermied bodies are draped in plastic sheets, partially concealed before a fully rendered backdrop. The sheets serve as a second pane that, in doubling, solidify the animals’ deadness and amplify the fairytale quality of the depthless diorama. The most distant human cultures, without early methods of communication, still share similar origin stories and basic plots in their folktales. As a child I read the same tales my grandparents and great-grandparents once heard aloud, revamped and reoriented to my culture’s value system. These ancient tales are the vehicle for symbols now engrained into our cultural subconscious—the wolf, the wand, the apple, the tower—now a part of how we tell all stories. We retell, we modernize, but the essence of the fairytale remains the same, now inescapable, now everywhere. The fairytale atmosphere is difficult to map. Within a long list of techniques employed in classic fairytaling, Maxi Luthi writes, in The Fairytale as Artform and Portrait of Man, of beauty shock (or the sublime), contrasting extremes, shifts in scale, tiny flaws, repetition, flatness, and the magical in the ordinary. Many, if not all of these qualities seem alive in the echoing halls and empty eyes of the Wildlife Museum. Most prominent is some aspect of innate human curiosity, a blend of revulsion and wonder that pulls me to lean again and again into the panes separating the live and dead bodies there. In her book Watching Wildlife, addressing documentary animal films, Cynthia Chris writes: “We look not only at animals to learn about them, but we also look through animals for ourselves.” Animals were the first, along with natural catastrophes, to inspire magical thinking in humans. They were creatures existing on the same plane, but with different bodies and abilities than we possessed. 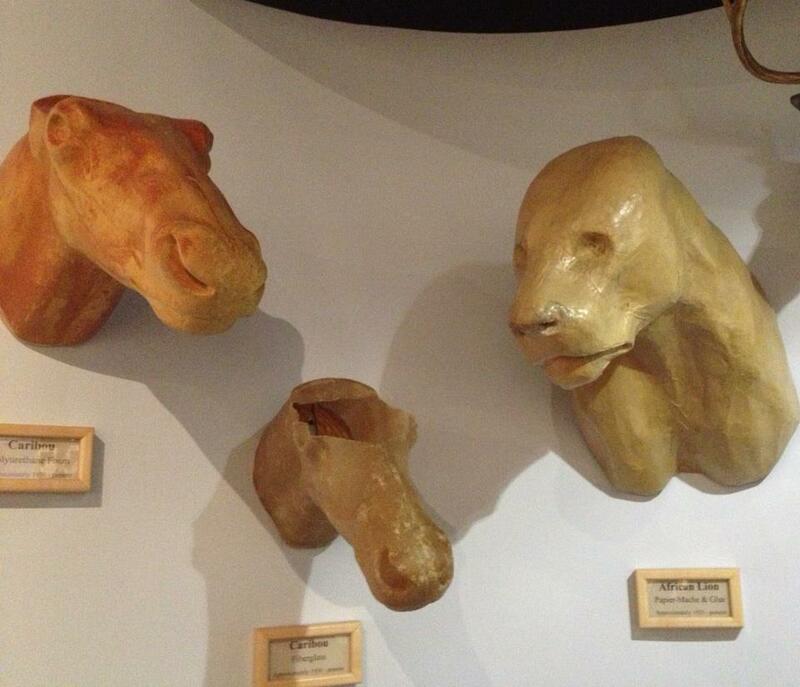 We placed our Gods in animal forms, our priests in animal masks. We pulled animals apart in our minds to construct mythical creatures, and with our hands in search of the ingredients for life. Few folktales, from any culture, are without a talking, helping, or hybrid animal. The weirdness of the Wildlife Museum seems caught up in all of this, embracing its timelessness, its tropes and bizarre half-lives; This may be the place’s central draw. It’s not until the final third of the collection that I find the Centaur suspended in his aquarium-like box between a Griffin and Cyclops in the Mythological Wildlife exhibit. What is unique about this centaur is his presentation. Unlike the Unicorn (narwhal) and Cyclops (mastodon), an accompanying information panel presents the creature as simply, “the best preserved specimen of record due to preservation within a cool, dry cave…in the Tymfi mountains of northwestern Greece,” adding that in 1980, the “graves of three Centaurs” were found in the same country. 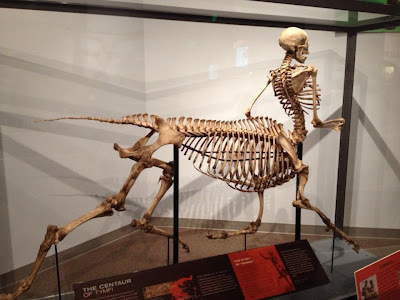 Like its mythic companions, the Centaur is only bones—the largest complete skeleton in the museum’s collection. It is also the only human-like specimen the museum contains. Standing before the Centaur’s case, my writer-boyfriend and I glance at one another, and back at the information block. My furrowed brows are reflected on his forehead as the Centaur’s bare ribs in profile mirror my own. For the first time since entering the museum, I am acutely aware of the deadness of the place, of the wide-eyed bodies propped and pressed into display cases all around us. Facing this hybrid animal, I can’t help but consider the Centaur a jab at the absolute truth the scientific diorama claims to wield. Like an essay, a natural history collection presents a string of facts—animal facts as understood by humans. Their skins and their teeth and their little biographies, the prey they stalk and the babies they burrow to feed. Except for the information panel including the word “grave,” and the lack of taxidermied skin (perhaps to enhance the factness asserted by the exposed vertebrae bending to seamlessly blend his two halves) the Centaur I knew from myth and fairytale is presented here in a catalogue of real creatures, with the same authority and staging techniques as the rest. The art of taxidermy is long learned, a trade of masters, grotesque when it goes awry. A series of posters in the second hall explain that modern taxidermy involves only an animal’s skin. Its eyes, bones and tongue are replaced by plastic, and a carefully carved core of polyurethane, fiberglass or paper mache gives the allusion of life and musculature below the hide. Like a fairytale, the real skin from the world is given shape by a constructed frame that fictionalizes a creature’s movements, its existence. Like the essay, taxidermy involves the crafting of raw, “real” material, the positioning of limbs, and the composition of a scene. It utilizes the imagination of a present “I” and techniques borrowed from other art forms. The essayist, the taxidermist and the fairytaler seem to all act as mad scientist mastermind, rendering their own version of life, and in the very act of representation, calling attention to the artifice of their beast. In the past fifty years taxidermied specimens, originally reanimated to educate and entertain, have found their way from museums to gallery spaces, appropriated by artists who are reviving the preserved animal as art material and object. In his book Art and Animals, Giovanni Aloi writes that “Art, classical art more specifically, could be indeed understood as a form of preservation: preservation of beauty, preservation from decay and death” (Aloi, 21). Many modern artists seem to employ animal bodies in their work in the same ways fairytales (and taxidermists) do—unsentimentally, as symbols, as foils in otherwise pristine environments, as everyday magic. Almost every piece in the 2012 collaborative exhibit “Fairy Tales, Monsters and the Genetic Imagination,” staged in Nashville, incorporates some version of the hybrid body. One of the most striking is Kate Clarke’s “Bully,” which combines the bodies of taxidermied wolves with casts of human faces, sealed with hide and finished with animal ears. This work is especially eerie in its realism and successful in prompting questions regarding the ethics of both science and art. Spoiler Alert: The bones in the Centaur’s case are made of real marrow—that of two different species. In this diorama, very real anatomy has been carefully crafted by an artist to bring to life (death?) an ancient creature humans have conjured for centuries in glimpsing silhouetted men bending low on horseback. Of his Centaur piece, zoologist and sculptor Bill Willers comments, "I want to trigger that belief and extend it, to trigger a feeling of wonder that connects people to the natural world, to see a person like themselves as a wild animal." The Centaur reminds me of death, of course, because it involves body parts I own. In general, we do not taxidermy our own kind (unless we count Clarke’s face casts, and the still popular shrunken head trade). This may have to do as much with artifice, with the limits of representation in taxidermy and the enhanced grotesqueness of an imperfect human specimen even more so than an animal, as much as it does with the ethics behind this act. The real human body has certainly found and maintained a place in art galleries, though not yet in post-mortem form the way the animal has. Willers’ Centaur begins to bridge this gap, though only in skeletal form. In attaching an animal component, Willers' presents the half-human as museum curiosity, as a specimen we agree to inspect. I like to think of Willers as an essaying artist, a hybrid himself, prompting his audience to question the beasts he presents to them. Perhaps taxidermy seems an essaying act that, when placed in a museum setting, obtains fairytale qualities. Or perhaps it’s that, for me, a collection of taxidermied animals together creates a space between fairytale and essay. This is not to place fairytales squarely in fiction, for if within fairytales are the essences of those six basic human stories, retold by Shakespeare and Disney alike, if we are unable to separate our cultures and imaginations from their scaffolding, can we label them as entirely fictive? As we wind our way out of the Wildlife Museum, my date photographs me with the preserved carcass of my favorite animal, the red fox. We coo at dead baby boars, and I buy myself a wolf T-shirt. I’m deeply disappointed, upon returning to my house and my laptop, to discover the story behind the Centaur's construction and display. If the Centaur skeleton is an essay, and the taxidermied skin is a fairytale, then is the Wildlife (and every other) Museum a collection of hybrid truths posing as science? Maybe there is no such thing as a nonhybrid art form. Maybe, as an essayist, I’m simply overzealous in blurring the borders, in appropriating all writing forms and bodies into my definition of essaying. 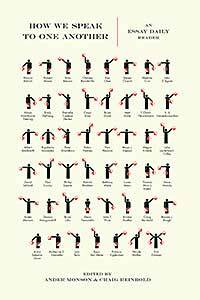 Or maybe, each of these is simply an art form asserting the subjectiveness of truth and testing its limits. I am satisfied, for now, in knowing that as Lyotard writes, “science does not represent the totality of knowledge” (nowhere close), that we do not taxidermy ourselves (yet), and that (maybe) art is still the best way to think. I’m still glad that somewhere in the desert, a Centaur goes on sleeping in a castle, among thousands of quiet, equally rendered bodies. Sarah Minor hails from the great state of Iowa and is an MFA candidate in Creative Nonfiction at the University of Arizona.